A beautiful and WARM summer's day wedding at Mt. Hood Bed and Breakfast, Parkdale, Oregon. 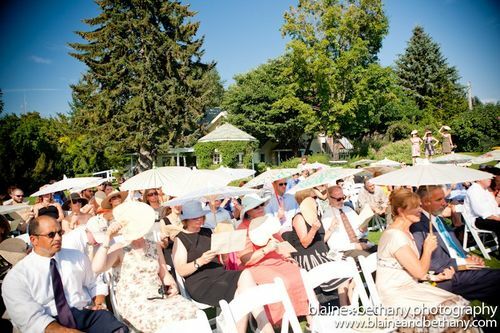 Photo courtesy Blaine and Bethany Photography.